When I was a kid deer hunting, you would find a comfy seat somewhere under a hemlock or on a stump, and wait for the deer to storm by. The deer would eventually pass by in herds like caribou on the tundra, so many that you often lost count. Almost all were does, which were mostly off limits to hunting back then, and what you were looking for were any signs of antlers. 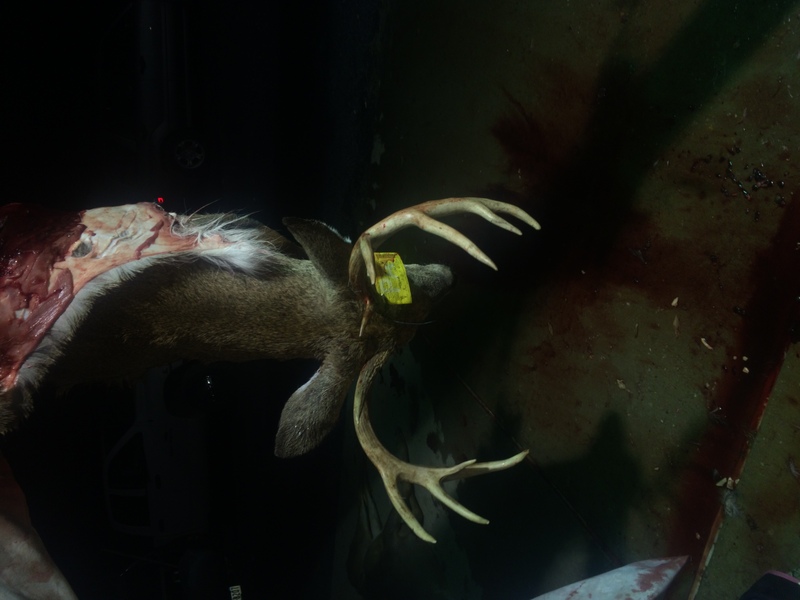 Any flash of white on top of the deer’s head meant it was a buck, and therefore legal for harvest. 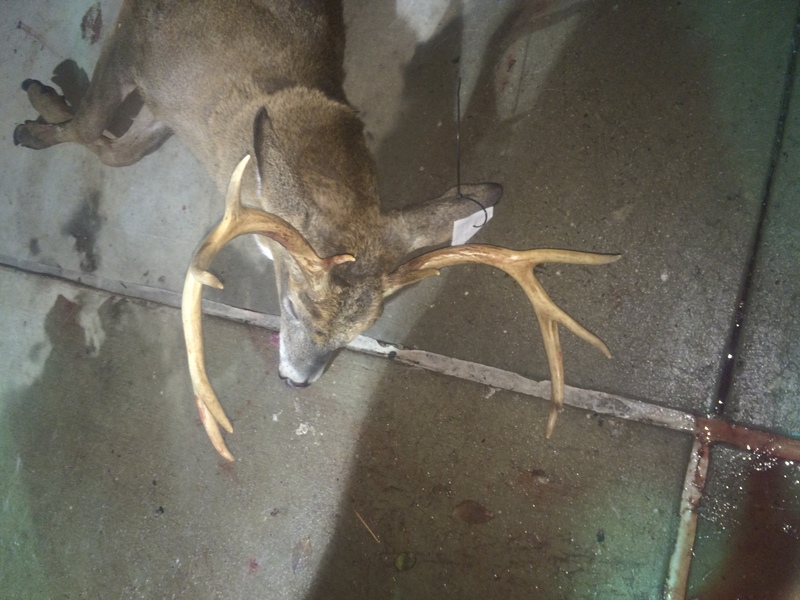 No matter how puny, how scrawny, how insignificant the antlers were, “getting your buck” was the goal, and several generations of Pennsylvanians were raised hunting in this low quality atmosphere. Herds of deer far beyond the carrying capacity of the landscape were the norm, as were pathetic excuses for a trophy, usually spike bucks or Y four-pointers, at best. Fast forward forty years and Pennsylvania is now a true trophy hunting destination. It is unbelievable, really, the incredible successes in wildlife management our state has had. And every one of these achievements has come from outstanding planning by state wildlife biologists over decades. For example, every year for the past fifteen years we have had bear harvests ranging from 3,000 to 4,000 animals, mostly taken within a three or four-day season. Some of our bears, a fairly high proportion, are gigantic, weighing from 500 to 800 pounds. These are eastern black bears the size of western grizzly bears; but they taste a lot better and they lack the aggressive personality of grizzlies. Other examples of our wildlife management success are the trapping opportunities for otter, fisher, and bobcat, all of which were exotic, unimaginable, almost alien creatures when I was a kid. Someone you knew had seen one at some point in the woods, but they did not show up in traps, or dead on the roadside. Now? These three charismatic, very cool predators are either common or becoming common across Pennsylvania. There are enough of them to begin to alter prey populations, and forest growth, which means there are surpluses for sportsmen to pursue. And our wild elk! Other states like Kentucky may have newer, much larger herds of wild elk than Pennsylvania, but they do not have the large human population or oversized road system we have here. Kentucky and the other states that have recently added wild elk can sustain larger herds. Nonetheless, Pennsylvania sees about 100 elk harvested annually, many of which are gigantic trophies on par with the best of western herds. Finally, the biggest wildlife management success is our deer population. And it is our most controversial. I have had a good deer season this year. Really, an outstanding deer season, in every way. Quality, quantity, time afield, hunting companionship, family time, scenic and remote places…what a fantastic few weeks it has been. How fortunate am I to have had this time, and it is only possible because Pennsylvania Game Commission biologists have done such an outstanding job of managing our deer populations (Quality Deer Management Association recognized the PGC this year with an award for its incredible deer management). In past years Jack has hunted with me at our place and would testify to the high quality deer we have cultivated there. Nonetheless he is anxious about harvesting “too many” deer. And right there in his statement is the rub, the issue, the friction in our wildlife management here, overshadowing all other successes. Older generations tend to see does as sacred cows, off limits to harvest, whereas the younger generations tend to view deer management through the lens of biology, mathematics, and both habitat and social carrying capacity. 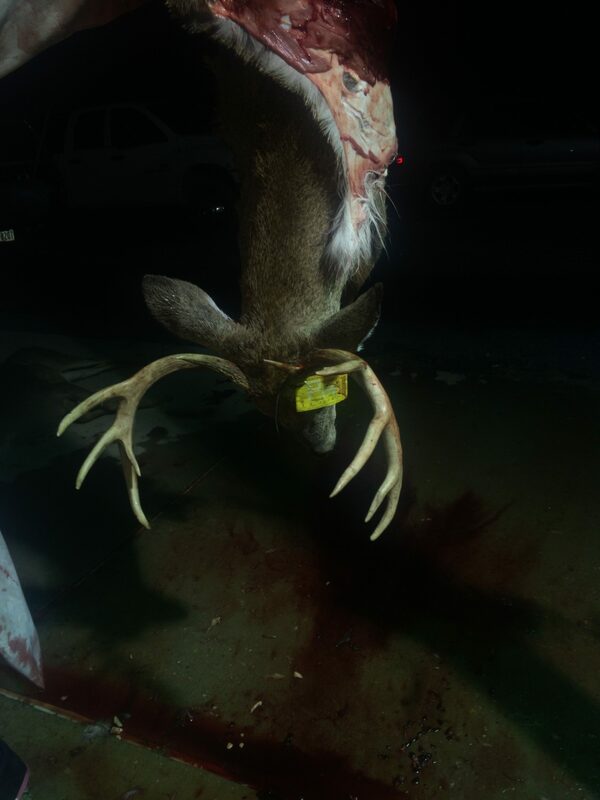 Deer hunting has gotten so good that, despite much stronger anti poaching laws, people are still going nuts trying to illegally hog up trophy bucks, afraid that if they do not get it, someone else will. Not too many years ago a fine young game warden was gunned down by a night poacher who was determined not to go back to jail (he did). 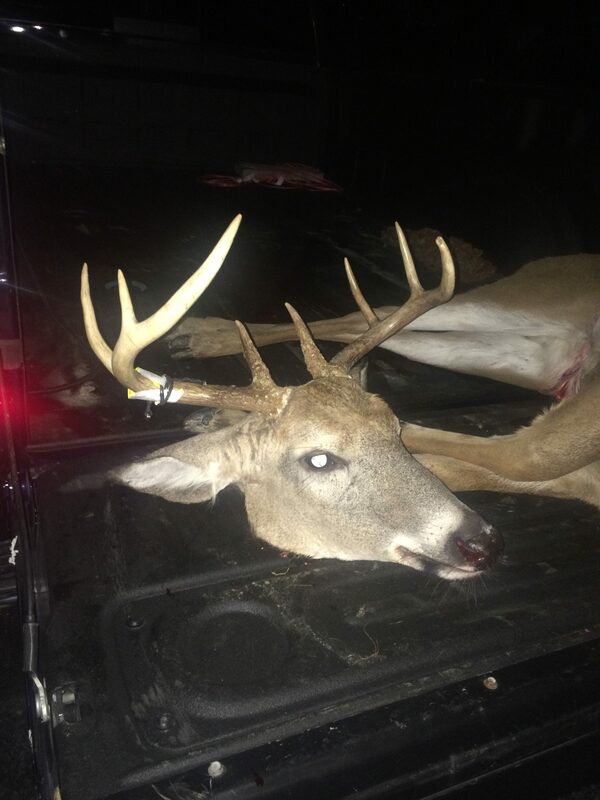 Last week two 57-year-old men were caught shooting at deer from ATVs, and their reaction was to badly beat the deputy game warden and take his gun. They, too, are now in jail. Older Pennsylvanians seem slow to catch on to our new status as a trophy destination. They act as if does must still be protected (they need not), and as if there are only a couple trophy bucks that must be poached before “someone else steals my buck.” In his recent book To Conserve and Protect: Memories of a Wildlife Conservation Officer, retired game warden Steve Hower recounts some of his experiences dealing with this backwards mindset. 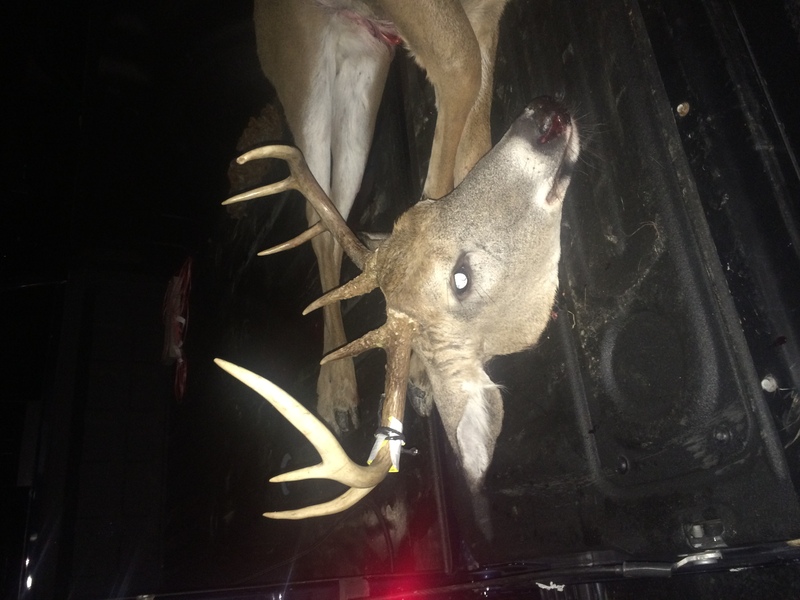 Past PGC executive director Vern Ross used to say at every opportunity he had “Now, today, is the golden age of hunting in Pennsylvania!” Vern was correct then, and even more so now, as hunting opportunities are even better than when he was at PGC. At some point the vast majority of our hunters will recognize and appreciate what an incredible thing we have now, right now, and instead of complaining about it, they will enjoy it and do what they can too support the PGC. 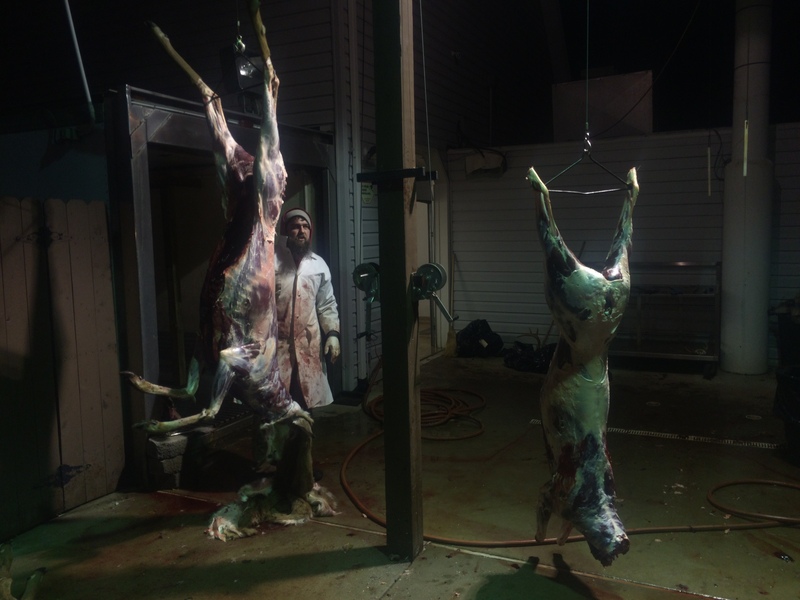 Some photos below from our bear and deer seasons; the buck photos are from the five minutes I was there on the second night of rifle season at Blue Mountain Deer Processing in Enola, PA. Just look at those incredible heads and huge steer-like bodies! Wow. Unthinkable not too long ago. “Think those are big? You should have seen the huge ones that poured in here yesterday, on Opening Day,” said Dean Deimler, owner of Blue Mountain Deer Processing. 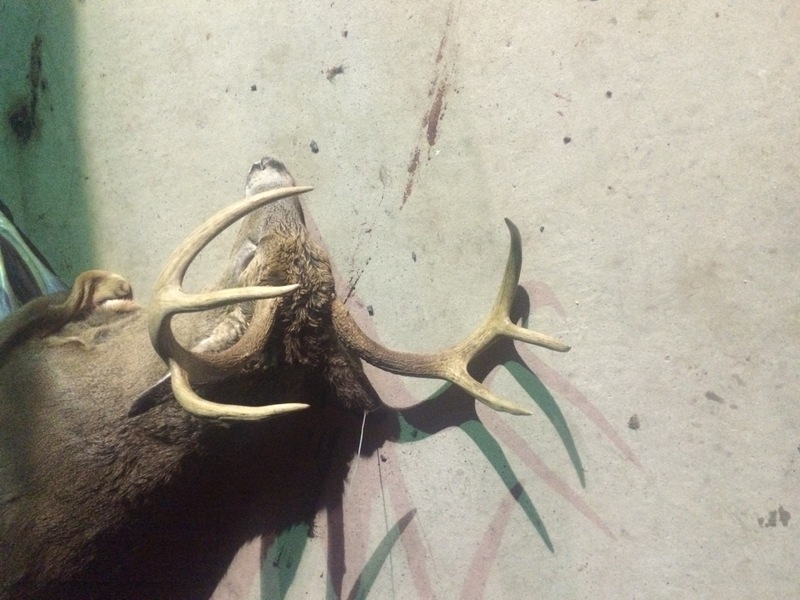 I have heard of several 160-inch and bigger racks being taken in the mountains, where too many people say “there ain’t no deer.” Like a lot of people, I would rather have a shot at a lifetime trophy buck of 160 inches than see a zillion scrawny spikes and forkhorns. 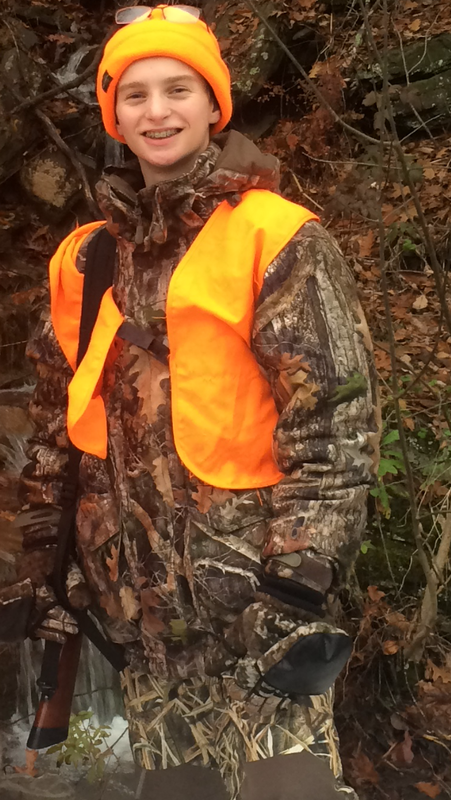 The young man is my son, who climbed high and steep right along with the adults, handling his firearms expertly and safely, himself taking three deer in two states this season and hunting bear as an adult for the first time. And that is the other ‘trophy’ from deer hunting…watching that next generation grow into an activity as old and as natural as our species. Trapping wild animals for food, fur, and pest control is as old as the human race, tens of thousands of years in action. The traps may have changed over time, but the purposes have not. Pests still ruin valuable crops, eat valuable farm animals, and break into homes and ruin stored food. Humans still prefer to eat wild meat, which is tastier, cleaner, and healthier than agribusiness meat. And humans still prefer to wear wild furs that are warmer, prettier, and more natural than human-made fabrics. That furs are renewable, sustainable, biodegradable, and natural adds to their appeal. But what has also happened over time is the incredibly abundant material success of Western civilization has created an unnatural gap between consumers of food and goods, and the natural world of forestry, farming, and natural resource management that creates those very same consumer goods. Frankly, Americans and Europeans are largely spoiled. Nearly everything we need is easily obtainable. Very few of us have to work hard for food, or shelter, the necessities that keep most humans personally toiling in dirty agriculture daily around the globe. Even our poor have expensive personal items like TVs and phones. Never will I forget a family member decrying “those evil power companies,” years ago, because she did not like the air pollution resulting from power generation. It did not occur to her that her role as a consumer and generous user of electric power made her the real driver behind electricity generation, as well as all of the associated processes branching out from it. And similarly, the ease of “shopping” for an unimaginably rich and diverse array of food items, so many made to suit nuanced tastes, especially meats, has resulted in a populace that does not understand the basics of what it takes to put meat and food on those same supermarket shelves. Enter trapping. At first glance to the average American it appears to involve the sadistic mistreatment of very cute, furry animals that would beg us for their lives in humorous dialects of English, if we would only let them. Silly depiction, yes, but opposition to trapping is even more silly than imaginary talking cartoon animals. Here are some reasons why I trap: We find a mother turtle, attempting to lay another clutch of eggs along the rail trail, the loose pea gravel of which provides perfect conditions for holding, incubating, and hatching turtle eggs. Three feet away is her previous nest, torn up, with raccoon tracks all over the destroyed turtle eggs, eaten by the raccoon. Raccoons are abundantly dead along roadsides everywhere because they are artificially overabundant in the wild, and especially in suburbia, where they have no real predators other than random cars. There are too damned many raccoons, and they are having a disproportionately high impact on other animals, like turtles, nearly all of which are in decline across the world. Another reason: The PA Game Commission and many other wildlife agencies nationwide are studying why whippoorwills are in such steep decline. One of the reasons is they are ground nesting birds, which makes their nests easy prey for the raccoons, possums, and skunks that pulse out in unnaturally high numbers from the habitat created for them in suburban sprawl environments. The one place I have seen and listened to these sweet nocturnal birds is a place where we aggressively trap, thinning out the artificially high population of ground mammals that would otherwise raid the whippoorwill nests. We create breathing room for the birds to nest and rear young. The same holds true for grouse, turkeys, and woodcock, all ground nesting birds. I could go on with a long list of cute feathered and furry animals that are in trouble because of predation by skunks, raccoons, and possums, but it should not be necessary. I prefer these animals because they are colorful, or sweet, or rare. Some of these animals are in real trouble, and if not for trapping of their predators, they might be gone altogether. Any thinking person will join me in preferring these uncommon birds and animals over the overabundant, artificially common racoon, possum, or skunk. Given that choice, trapping is the natural way to preserve animals we want. We remove the animals we don’t want. I trap because I love wildlife, and given certain population dynamics, as a Nature lover, I face certain natural tradeoffs that I must consider. In order to love and enjoy one little birdy, I must eliminate a whole bunch of its predators. What amazes me is how little most people know or want to know about trapping. They write it off with the wave of a hand. They seem unimpressed that we can easily target certain types of animals, and thereby avoid other kinds of animals in our traps. We can selectively harvest overabundant predators, to help cute, little, rare and endangered critters. Trapping is not random, it is not haphazard, it is not cruel, and for me it is not about money. For those of us who love Nature and all in it, trapping is really the only way to ensure that Nature in all her facets sticks around. That, or level all of the large lot suburban sprawl developments and pack everyone into cities. After all, it is suburban back yards that give us the worst of the critters needing the most control: Raccoons, possums, and skunks. Though being involved with the Pennsylvania Federation of Sportsmen’s Clubs since about 2000, maybe 1999, I have never spent an entire weekend at one of the group’s annual conventions. Founded in the 1920s, PFSC is one of America’s oldest conservation groups. Back in 1954, the group started what is now the Great American Outdoor Show, now run by NRA. PFSC has been at the forefront of every major environmental issue (sometimes with the greens, sometimes not), conservation initiative, and gun rights fight since the 1920s. It is a group worth giving to in any way you can, and it seems to attract the most selfless, generous, interesting people. This past weekend was my first full PFSC convention, and I enjoyed it a lot. It was eye-opening and heart warming. My new role as Perry County Delegate gave me a whole new view. First, the group is politically, ethnically, genderly, and religiously diverse. Not just a bunch of “white guys with guns,” the group is administratively and professionally run mostly by three kind, patient, and bossy women, with an impressive second vice president on her way up to being president in the new few years. Catholics, Protestants, Jews, Atheists, Deists, and probably a couple Druids. Republicans, Independents, Democrats, liberals, moderates, conservatives, and knuckle-draggers. Financially successful business people, blue collar workers with dirt under their nails, retired state, federal, and private industry workers. It is a rich and neat mix of very different people from across Pennsylvania, who share a few passions: Wildlife conservation, habitat conservation, passing on the outdoor heritage (hunting, trapping, fishing, hiking, camping, canoeing etc), and Second Amendment rights. But ageism reigns supreme, with not many young people showing up. Second, the group is overwhelmingly in the “Oldster” category, with a few truly young people. There’s a lot of white hair and white beards. I am 52 and I am considered one of the “young guys.” But there are some active 20- and 30-somethings. Why lots of younger people are absent is probably attributable to these reasons: a) Like many other Americans, young sportsmen take a lot for granted, b) Like many other Americans, young sportsmen are happy to let someone else carry their weight, c) Americans are scattered all over the place with family and work obligations, and people raising young families are programmed from Friday at 4:00 until Sunday at 9:00 every weekend. Something needs to change here, though, and young people must get involved with PFSC. There are a lot of forces out there quietly working against the interests of sportsmen, and if the guard is weakened or dropped, then the negative changes will happen fast and furious. Think your shooting range is grandfathered in, and protected from all of the new housing that suddenly surrounded it? Guess what, someone could challenge your range’s status in court for the 29th time, and finally get a lousy judge who decides to be the creator of law, not the arbiter. Only PFSC stands ready. Third, these are the most generous, community-spirited people you will ever meet. They are devoted and happily spend their own money to protect what they love. Unlike the popular but nevertheless wrong method of demanding that everyone bend to some individual’s wishes, the sportsmen just keep giving and giving, and hoping that eventually everyone else will realize the trails, pretty birds, farms, and public lands they take for granted did not just happen because. Rather, sportsmen were there at the beginning, working hard to protect these resources for decades. Simply because they are visionary, passionate, dedicated and hard working. Would you please lend a hand? Buy a three-dollar raffle ticket? Come out and work a Youth Field Day? Join a club and pay a little money to keep the ranges looking spotless? Join the PFSC as an individual, or simply donate five or ten bucks, to help pay for the FULL TIME lobbyist on Capitol Hill? You don’t like lobbyists, you say. OK, who then is going to head off bad legislation aimed at destroying your Second Amendment rights, stealing your public lands, fouling the public waters, or allowing wildlife to only become roadkill? Only the PFSC protects the interests of all Pennsylvania sportsmen. They have been doing it since the 1920s, and they are doing it today. Outdoor sports are well under way here in Pennsylvania. This is the “Christmas in October” season soo many of us dream about since the last hunting season ended months ago. Archery season started a month ago, and the rut (primary breeding season) is now in full swing. That is evidenced by the “deer storms” that go crashing through the woods at any time of day or night now, as well as the increasing numbers of dead deer lying on the side of the roadways. Chasing is a main part of rut activity, and deer of both sexes will blindly run right out into the middle of a suburban lawn or a road as their hormones and instincts take over their better judgment. Bowhunters take full advantage of that mindlessness, and they are now starting to really spend time on stand, trying to lure in the otherwise wary whopper trophy buck. Estrous doe pee is the number one deer lure, and it is what I use with very high success rates. One problem is that so many eager hunters jump the gun and start putting out doe pee, in huge quantities, too early in the season. A few drops on a tampon or cotton ball hung from a branch is all you need in early November. Although furbearer trapping season started a week ago, the unseasonably warm weather has many people, myself included, holding off laying out steel until mid-November, when mink season starts. What is the point of catching a predator with patchy fur? The colder it gets, the more their fur fills in, the softer it becomes. The softer the fur, the more luxurious it feels. The better the fur, the happier I feel about spending late nights skinning, fleshing, and boarding pelts in the cold. I will say this, however: Most of my predator trapping these days is aimed at reducing the over-abundant populations of skunks, opossums, and raccoons, all of which are voracious bird nest raiders. To my eye and ear, cute little birds are always entertaining and pretty to watch, and they deserve a chance to enjoy a comfy nest with a successful brood of hatchlings. Wild turkeys and grouse especially are vulnerable to these insatiable varmints that have few natural predators and a lot of suburban habitat in which to unnaturally propagate. Having never sold a pelt, trapping is not a commercial or financial effort for me. Rather, it is the joy of being outside, being an integral part of the natural predator-prey chain, helping balance wildlife populations, and obtaining something useful, pretty, natural and biodegradable. The wild caught furs that adorn our home and cabin reflect the wild places we enjoy visiting, and the ancient skill set needed to catch these wary hunters. Earlier this year a long time dear friend nastily chided me for hunting and trapping. Asking her how she could criticize me on the one hand, while on the other hand she regularly eats stone crabs (claws torn off of living crabs), other shellfish (taken from their cozy homes, jailed, then boiled alive), and all sorts of meats from suffering animals living on unsavory factory farms elicited no response at all. This shallow, careless, hypocritical approach to life bothers me, but I doubt there is anything I can do about it, other than continue to live my own life well. Why or how people find pleasure from interfering in other people’s lives is a constant source of mystery. They get a sense of purpose, I suppose. As a hunter and trapper, I am fulfilling a purpose that is as old as our species. The hunter-gatherer purpose is as old as humans, heck it is human, and is as old as the last ice sheets that covered the northern hemisphere. This lifestyle is eminently more natural than the artificial life of food from tin cans, huge monoculture “farms,” and sad feed lots that blot out habitat and wildlife, not to mention crushing the spirit of the animal. Good luck this season. Enjoy living like a real human being, fellow hunters and trappers.